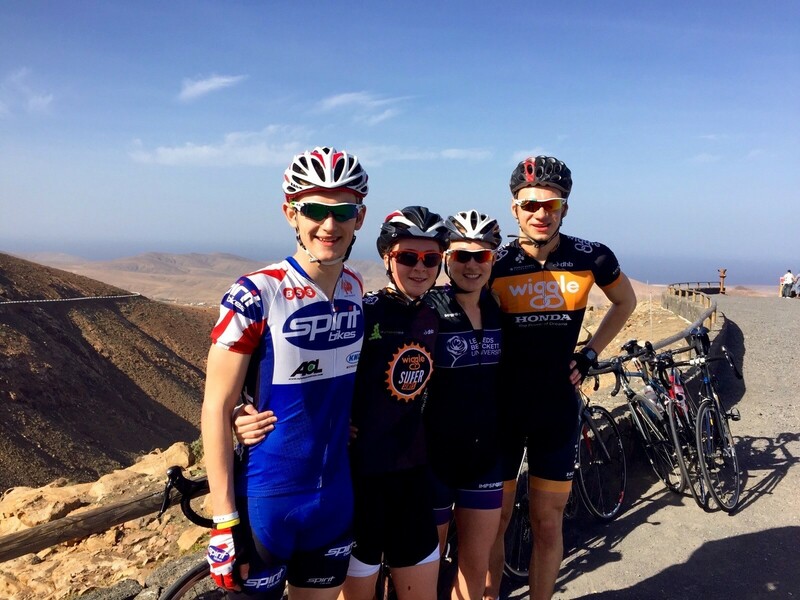 On December 12th 2015, Team Bodyworks athletes; Chloe Cook, Kieran Lindars, Harrison Rolls-King and Chloe Pollard headed out on a new adventure to Fuerteventura, Canary Islands. 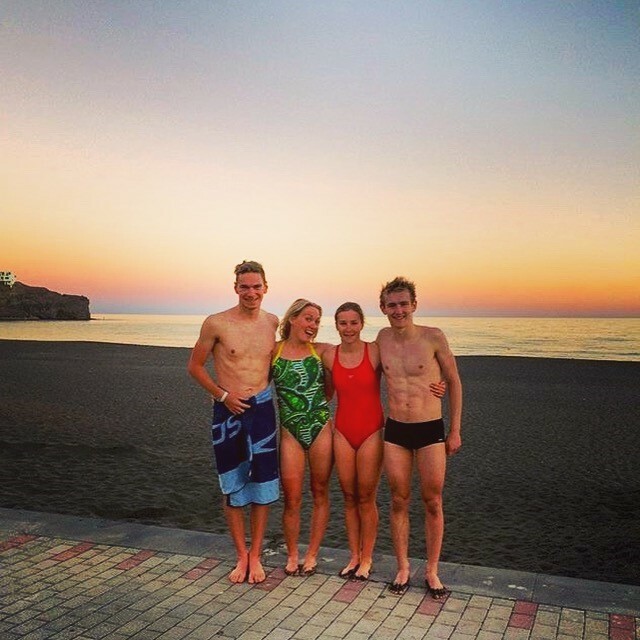 Joined by Coaches Stuart Wilkinson and Sarah Coope, not to mention the young up and coming talent, in the form of Bethany Cook, it was bound to be a great week trying out the new training camp venue, Playitas Resort. Both athletes and coaches were looking forward to getting in some winter miles in the sunshine after some of the coldest winter rides in Eastbourne. 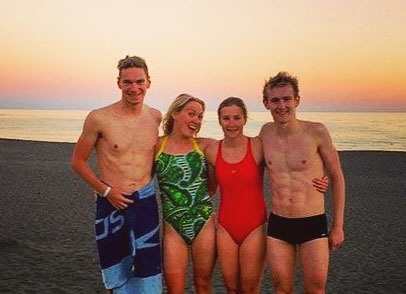 The daily routines on camp would typically mean getting up at around 7.30-7.45am having some breakfast and either heading down to the pool for a morning swim set or getting ready for a morning in the saddle. The morning swims were always pretty special with the sun rising at 7.30-7.40am, something like none of us had seen before. 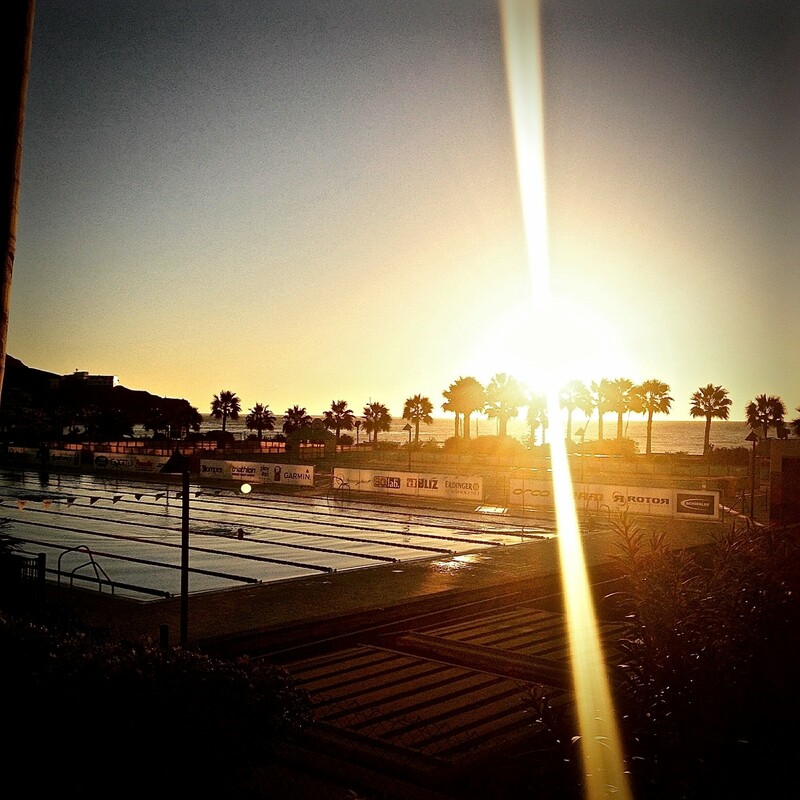 The swim sets were always good fun in the open air 50m pool – Couldn’t think of a more inviting environment. On the mornings when we hit out early on the bikes, the weather was generally nice and cool with a gentle breeze in the air. I think is save to say through out the whole week we was really lucky with the weather and more specifically the wind. The canary islands are notorious for being the Europe’s wind surfing paradise which thankfully we were left questioning with the great lack of wind. This camps focus was racking up the mile on the bike we all had an amazing time learning the routes on the new island. We all enjoyed the challenges presented to us; the hills, the descents, the wind or the length of the rides themselves. We all gained a lot from riding on this camp. Who would know that the best was yet to come, not even the sunset golf course runs could compare to the gloriously clear and warm sea for open water swimming. It was warm! It was blue, full of fish and even with some buoys to use for an open water session or two! It wasn’t until we ventured out in to the sea, we realised how much we missed the open water. Overall the camp was a great success, we all had a brilliant time, returning with good miles in bank and a nice bundle of motivation to push us through to the the start of the season.